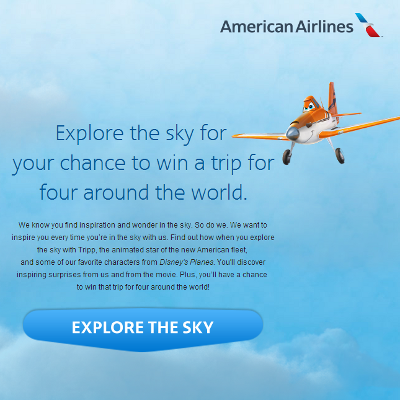 Save 10% on your next American Airlines Flight - Really! Every single day, we're bombarded with a ton of emails from the Airline industry promising special fares, sales and tips to bulk up on frequent flyer miles. We usually send such emails straight to the trash, because time and again we fall for their false claims only to come up empty handed. Based on what we've seen, the advertised sale is not a special rate available only through the airline's website or to a select group of loyal customers. The so-called sale price is available no matter where or how you book. Its not a sale or a discounted fare, it is the standard fare. We're no experts, but it seems that airlines drop their fare to compete with other airlines - standard operating procedure. One fine day someone in their marketing department decided to tag fare fluctuation as a sale and spam customers. Awesome! On the rare occasion that we open such emails, we're almost certain that the sale is not applicable from our home airport or doesn't apply to the destinations we're interested in. That is what makes today's deal unusual, no tricks, no gimmicks (that we know of) and American Airlines is offering a 10% discount (limited quantity - 100,000) applicable for flights booked before 08/31 for travel between 08/31 and 11/15 in the US. Simply play an interactive game on their website to unlock your coupon code (mailed to you). It takes about a minute to get to the point where you can punch in your name and email address to get your coupon. We're not a big fan of sweepstakes, but if you like em' you can play the game all the way to the end to enter a chance to score a trip for four around the world.